BELLEVUE, WA--(Marketwired - December 08, 2016) - 5G Americas, the industry trade association and voice of 5G and LTE for the Americas, today announced the publication of LTE and 5G Technologies Enabling the Internet of Things, a report focused on the key radio technologies specified by the 3GPP global standards body that aim to create a strong ecosystem for the Internet of Things (IoT), much like the very successful global mobile broadband market built with LTE. The term Internet of Things (or Everything) has been coined to describe the vision of an interconnected network of physical objects that interact with people, other physical objects and systems in an effort to benefit society in unprecedented ways. There are two key categories for IoT use cases that are well-addressed by LTE and future 5G technologies -- Massive and Critical IoT. There exist, however, many use cases between the two extremes, which are already operating today on 2G, 3G or 4G mobile wireless connectivity. "An industry transformation is underway, fueled by a myriad of global developments including the continuous expansion of internet connectivity, a high adoption of mobile devices and an exploding array of innovation initiatives," stated Chris Pearson, President of 5G Americas. "Such a transformation is a natural development in the process to materialize the vision that 'anything that can benefit from an internet connection will have one' and IoT can be at the forefront of this transformation." Andreea Timberlake, Vice President, Business Development, Radio Access Networks at Ericsson and co-leader of the white paper noted on the conclusion of the working group that, "3GPP wireless technologies offer compelling technological advantages that will continue to boost the ability of LTE infrastructure to address the massive IoT market well into the future, with 5G joining the IoT landscape before too long." In 3GPP Releases 14, 15 and beyond, standards aim at resolving any business bottlenecks to enable the vision of 5G and the massive IoT market -- the explosion into billions of devices and sensors that represent a digital representations of our real world -- driven by low cost devices, long battery life, coverage everywhere and innovative business applications. The promise of 5G is that it will be possible to realize critical IoT applications, which require real-time control and automation of dynamic processes in various fields such as vehicle to vehicle (V2V), vehicle-to-infrastructure (V2I), high speed motion and process control. Critical parameters to enable the performance required are network latency below milliseconds and ultra-high reliability. Both are intrinsic components of the 3GPP work to define the new radio interface for 5G, NR. 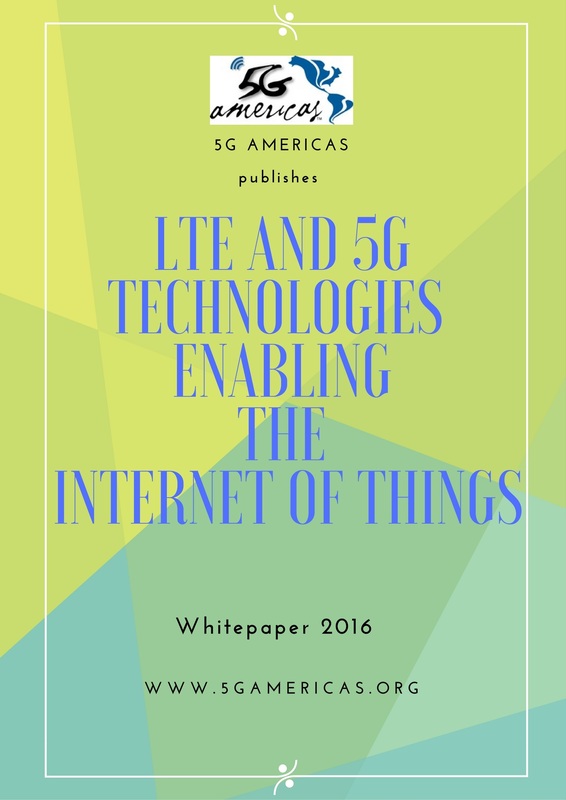 The 5G network architecture is being designed to cater to both IoT scenarios. Vicki Livingston, Head of Communications at 5G Americas added, "Overall, 3GPP standards aim at bringing innovations into the existing 4G networks and designing 5G from the start such that a growing span of IoT services can come to the market in the short term without extensive network builds." 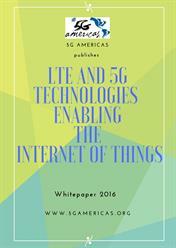 5G Americas is an industry trade organization composed of leading telecommunications service providers and manufacturers. The organization's mission is to advocate for and foster the advancement and full capabilities of LTE wireless technology and its evolution beyond to 5G, throughout the ecosystem's networks, services, applications and wirelessly connected devices in the Americas. 5G Americas is invested in developing a connected wireless community while leading 5G development for all the Americas. 5G Americas is headquartered in Bellevue, Washington and officially announced the change of the organization's name from 4G Americas on February 12, 2016. More information is available at www.5gamericas.org. The term Internet of Things has been coined to describe the vision of an interconnected network of physical objects that interact with people, other physical objects and systems to benefit society in unprecedented ways. To this end, IoT is seen as the catalyst for the empowerment of everyone and everything to reach their full potential in a world that has already seen how wireless communication can improve life in every corner of the society. This paper examines the essential aspects that encompass the development of IoT uses cases specifically enabled by cellular 3GPP technologies.